Thanks for visiting the Super Luxury Style (SLS) advertising page! 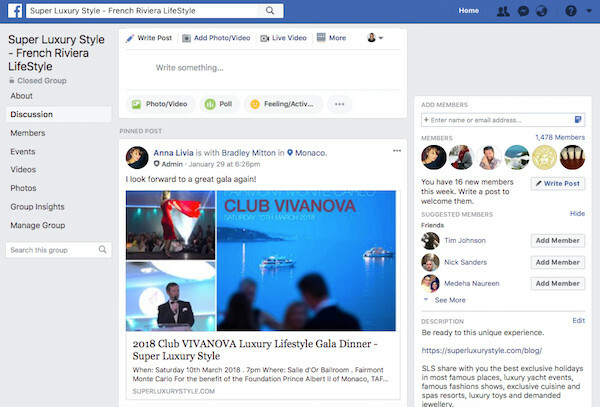 This page is designed to inform you about the advertising opportunities with Super Luxury Style and how we can help you get more visibility for your events, products, and services. There is no limit to how we can help you gain better exposure for your brand, increase sales, and be a leader in the luxury industry. We offer a variety advertising opportunities that can help your brand. Would you like to have a featured blog post on our site highlighting your business, products, or event? This is a great opportunity to get featured on our website, gain exposure through our brand, and drive traffic to your website. If you want a sponsored post, you can submit an article to have published on SLS or pay to have a unique article created around the product or service that you offer. If you have a website, event, or product that you would like to have promoted. We can promote it through our Facebook page which has over 1,478 members. This is a great way to get immediate exposure to the SLS community. 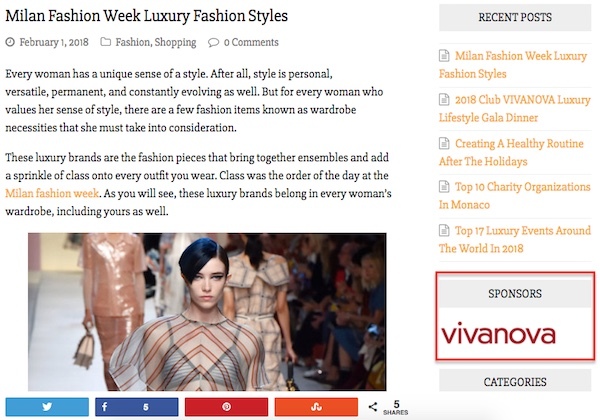 Targeted content around luxury and fashion. .JPG Images 300 x 300 px (effective format for mobile devices). WHO CAN ADVERTISE ON SLS? Any reputable business that offers products, events, or services in line with our brand and the luxury industry. If you are interested in any of the above advertising opportunities please fill out the form below and we will get back to you about how to start.